Everything else — This would like changes to products that I don’t currently use or features that don’t fit our business model. I never ignore these features as they could be useful at a future date, but I don’t cover them with as much detail as the other two. Company view — Ever thought there was too much whitespace in Lightning? 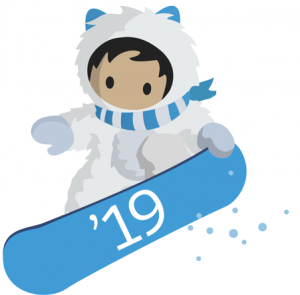 Many have agreed, you now have the ability (At an individual level) to change the way you see Salesforce with a new view called compact, Salesforce says this will be 30% greater density bringing it inline with classic. If you love the current design, you can stay in a comfy view. Edit Joined Reports — In Summer Salesforce finally gave us the ability to view joined reports in Lightning, now we are moving one step closer with the ability to edit these reports. Hopefully, Spring’19 will give us the ability to create joined reports and do complete editing in the new report builder. Use Joined Reports in Dashboards — Keeping on the theme of joined reports, you now can use these reports as the data source of a dashboard component. At the moment you have to build the chart of the report as you are not able to de-select the ‘use chart settings from the report’ button. But this is a step in the right direction. More values in dashboard filters — Lightning dashboards have increased the number of values you can have in each filter from 10 to 50, meaning you can filter by 150 values per-dashboard. Being U.S. centric Salesforce tout this as a way of filtering by all 50 U.S. states, but I can think of some ways this could be used in my org now. Pardot for lightning is now Generally Available — From Pilot to Beta and now GA, it has been a busy year for the Pardot team, this feature gives you the ability to do everything you could in Pardot, but without leaving Salesforce. Gone are the days of the single Pardot Visualforce tab, you now can create a Pardot app and customise it your way. Easily Opt prospects back in — Ever had the joy of trying to opt a prospect back in that was accidentally was opted out? Usually, you would have to try and update both the Salesforce & Pardot record, do a manual sync and hope for the best, typically taking a few attempts on the way. This issue has now been fixed! There is now a setting ‘Overwrite Prospect Opted Out field’ in the connector that just needs to be turned on. All Pardot admins rejoice. Campaign Members from Prospects — If you have already started to sync your campaigns between Pardot & Salesforce you can now also sync the prospects between them. This is another step forward to better marketing reporting.